Students from Naples Performing Arts Center (NPAC) won the top award, Excellence in Acting, at the 2014 Junior Theater Festival, a national competition held annually in Atlanta. The Junior Theater Festival included 4,500 students from 95 schools across the country. NPAC students spent the past eight weeks preparing for the national competition by rehearsing Fame – The Musical. The competition took place over the course of three days at the Cobb Galleria Centre in Atlanta. 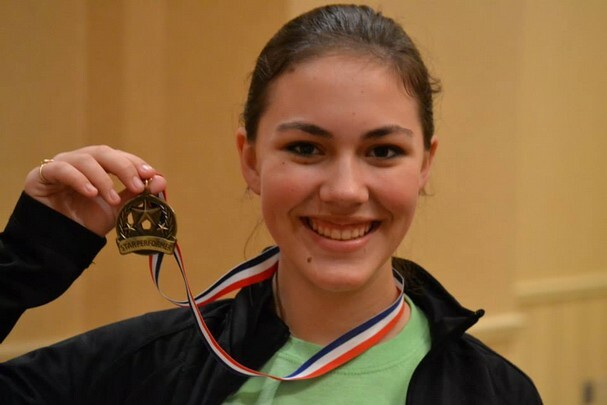 Out of 4,500 kids, NPAC’s Molly Spiroff, 15, won Best Female Performer. Two other NPAC students, Aubrey Hemmer and Zach Gibson, won the All-Star Award. NPAC students Maggie Boswell and Carissa Procacci both received an invitation to New York to dance with Broadway instructors and be featured in their national DVD. NPAC is where stars are born. For more information, please call NPAC Owner Lori Oliver at 239.597.6722, or email Lori at lori@naplesperformingartscenter.com.